Clients present to us with a range of afflictions involving their psoas (the long muscles that runs either side of the spine which is required for hip flexion) including, lumbopelvic control problems, psoas strains, low back pain, poor squat technique, and even ‘tight’ hip flexors (because often weak muscles become tense). 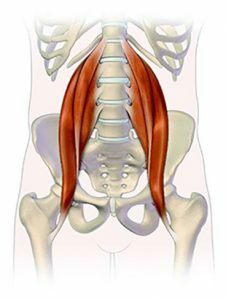 The Prehab Guys offer in the attached article great techniques for a stronger core and better control through psoas. Their exercises include: Level One – No resistance, Level Two – Resisted Psoas March, Level Three Bridging Psoas March. The Prehab Guys are a group of Doctors of Physical Therapy who offer their versions of this modality. Physical therapists are human movement consultants. Their mission is to provide accurate information to help people move better to prevent injuries before they occur. Topics they address include: identifying movement dysfunction, corrective exercise, common compensatory patterns, lifting tips and tricks, strength and conditioning, stretching techniques, debunking common myths, & the carryover of exercises to specific sports. You can find more of their great advice on their Facebook page ‘The Prehab Guys’. If you have any questions or queries related to the psoas muscles or have any hip or back pain you may be experiencing, please call the MyoMAX team on (03) 9769 8721.